Stainless steel base combined with a your choice of wood stain and glass color or select from one of the premier glass designs and handpainted finishes. Includes file cabinet and storage drawer. 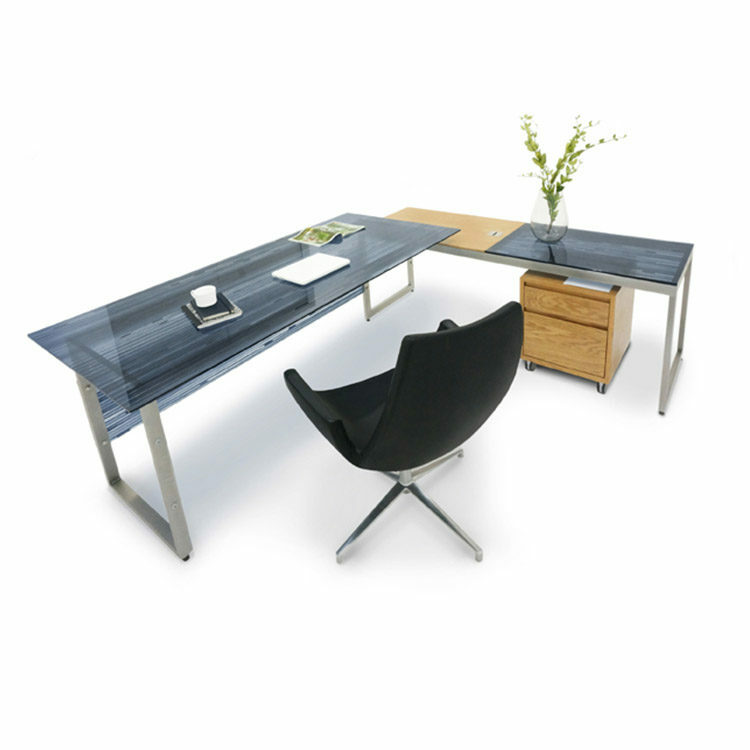 shown lacquered natural oak veneer and topped with ink blue tempered glass. File cabinet and drawer.